Okay now here’s it on my main pc. Same result as my netbook, huh? 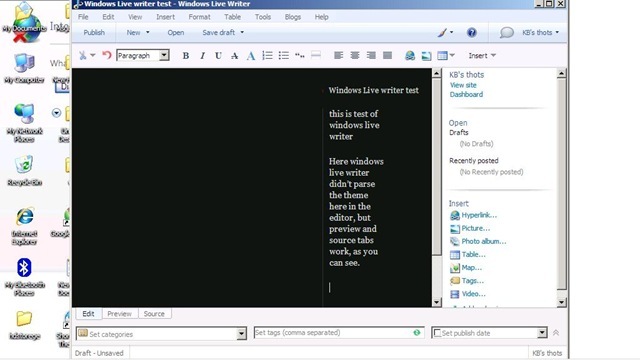 FYI, I had to publish this post first then Windows live writer could parse it. 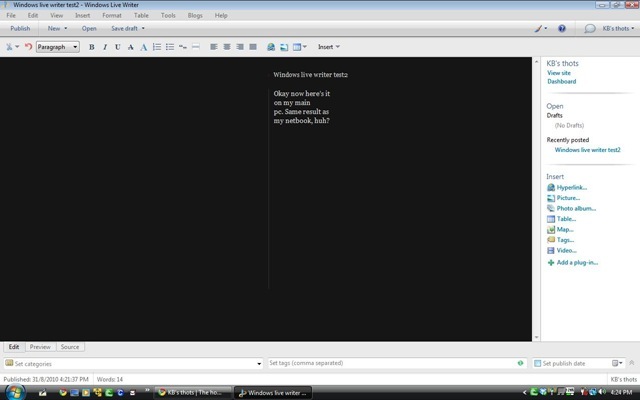 Here windows live writer didn’t parse the theme here in the editor, but preview and source tabs work, as you can see(on my netbook, duh! I’m starting to build up anger as MA’s(adults using bad words[engrish] and all things inappropriate, or Mindless Adults, or Family-guy-ified) slowly report me(kbhasikevin) as spam. I’ll update the list of MA’s on a page, when I create it. Fortunately, I never post up the links to this blog and my Twitter(kbhasi), so no spammers ever ‘spread out’ and spam me on those accounts. I’ll refer this as cyberbullying outside school/by strangers for now. 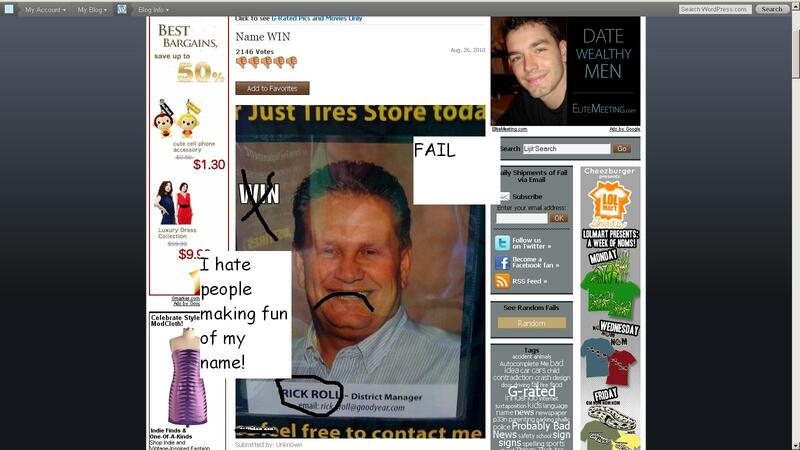 This is where Fail blog is going nuts!